Agile Store Locator is a responsive plugin and has multiple themes. Your visitors can filter stores based on conditions that work for them. 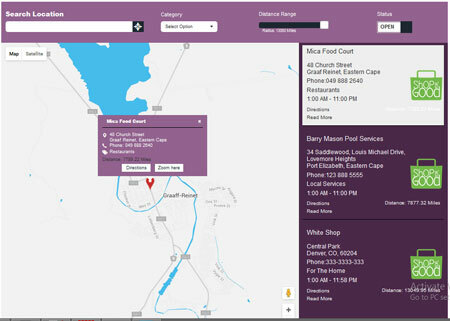 Webmasters can display distance to each store and provide their visitors with directions. Hybrid, Roadmap, Satellite or Terrain map types are supported. Store Locator supports right to left languages. It allows you to import and export stores. This is a commercial plugin by a Code Canyon author.